Embezzlement is an illegal action which refers to the act of taking money that has been placed in a trust but belongs to another entity or individual. The money in essence is stolen. However, the act of embezzlement requires that the funneling of the capital was initiated by an individual who was responsible for managing or overseeing the funds. 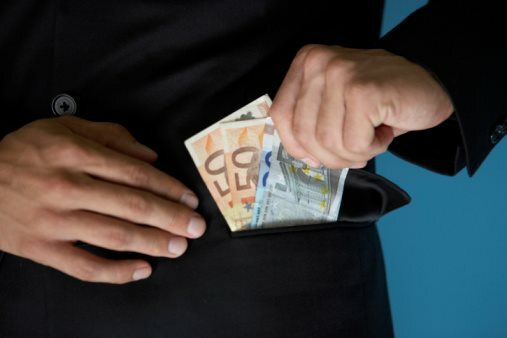 A common form of embezzlement occurs when an individual, working for a bank, secretly steals money that he or she has been entrusted to look after. The primary factor associated with the illegal act of embezzlement is that the embezzler is actively entrusted with someone else’s money. As a result of this characteristic, trespassing is not necessary for the theft to take place. Embezzlement can be initiated in a variety of methods, but the most common mechanism is typically achieved through the falsification of records and legal documents. Embezzlers often create false bank accounts, phantom companies, or hypothetical employees to create a façade or portal for the transfer of money. Embezzlement is a felonious act and, depending on circumstance, meaning how much money was stolen, how long the process lasted, and the presence of a prior offense, the act will carry a variety of punishments. In most instances, those convicted of embezzling money will be incarcerated. As a result of the seriousness associated with the punishment and the severity associated with the action, it is strongly recommended that an individual accused of embezzling hire a legal professional to mitigate their charges.